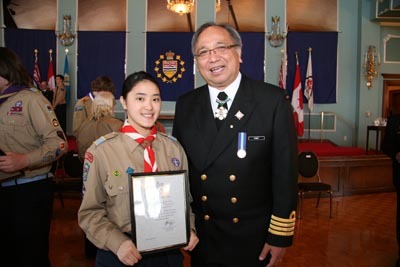 Yorkie Helen receives Scouts Canada Queen's Venturer Award at Government House. One of our Gr. 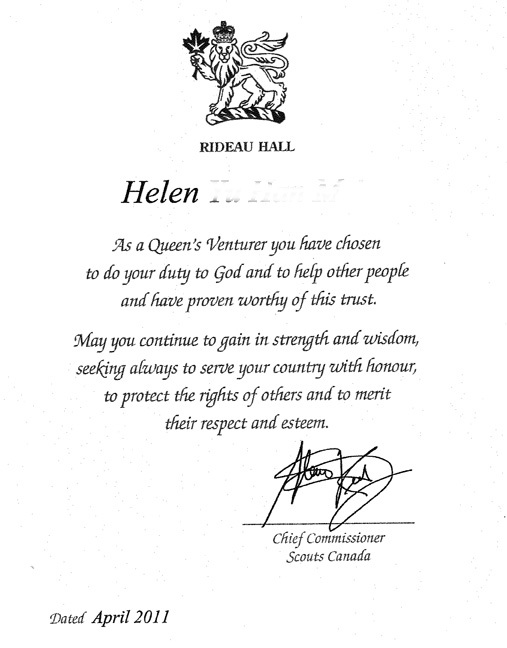 12 students just received her Queen’s Venturer Award at a ceremony held at Government House in Victoria. Helen, a Scout for the last 13 years, has been working hard to achieve this highest honour from Scouts Canada. Scouts Canada has a long tradition of educating young people through a value system. The Queen’s Venturer Award is presented to Venturers who have acquired competence and skills that will be of considerable use to themselves, their company, and their community. It signifies that the recipient has both the character and ability to be of significant help to other people. Helen has also been working towards Gold in the Duke of Ed program. When asked about the differences between the programs, Helen notes that the Duke of Ed is more about individual achievement, where Scouts focuses on group work: “It’s about developing ourselves, and our greater community,” she says.